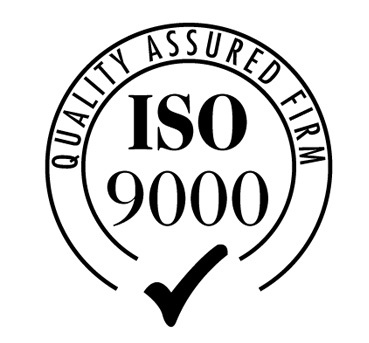 The service for registration and maintenance of ISO 9000 & ISO 14000 saves your company the cost of employing a Quality / Environmental Manager or burdening other staff with the responsibility. Increasingly our clients need this standard in order to retain existing business or as a pre qualification for obtaining new business. Our service covers the tailoring of a management system to meet your requirements, either using your own in house personnel, via Management Services consultants or even a combination of both. We draft all documentation for your approval. Install, audit and refine procedures and documents, then advise on suitable registration companies and costs. When you are registered, or if you are already registered, we can offer ongoing support by IRCA registered auditors to ensure the smooth running of the system and to maintain continued registration. We draft & carry out annual audit programmes covering all documented processes of the company, including written audit reports and any follow up actions. Prepare, chair and minute Management Review meetings; attendance during Registration Body surveillance visits, including pre surveillance visit audits and draft, produce and issue any document and procedure changes required.